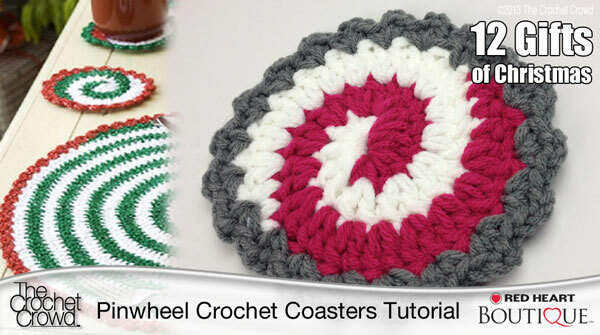 Free Crochet Coasters that have a Spiral Pattern. Enjoy fun Pinwheel Coaster and Placemat design for your holiday decor. I’ve been wanting to do this pattern for a very long time but have always been intimidated by the swirl in the photo. Once I sat down and realized how easy it was, I had egg on my face as I have been scared of something that was so incredibly easy! Using any yarn colours you wish, your Candy Swirl can be any combinations of colours. You need three colours in all. Two colours are for the swirl and than an outside border colour to block it all in together. I see no pattern to print for the “Free Pinwheel Coasters Crochet Pattern” – please tell me where it is…. Thank you for the cute tea coaster pattern. I’m sure I’ll make some of these.